Sunset Metallic '14 FX4 F-150 loaded. 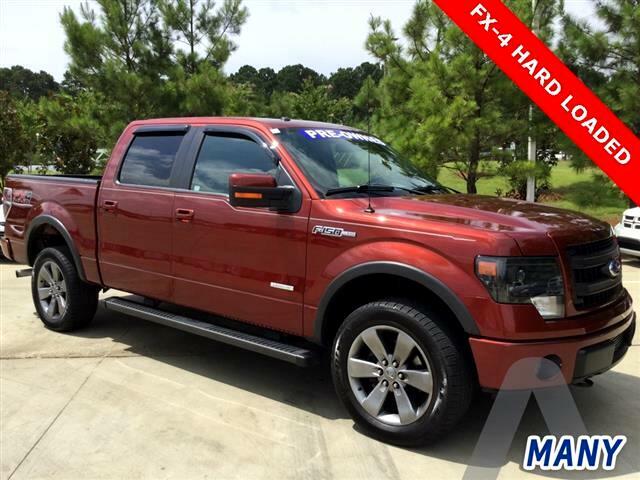 Sunroof, Leather, Navigation, Sony Hi Output Stereo, 20" Rims and the popular EcoBoost Engine. You'll receive the Auto World Limited Warranty with your purchase. Extended Warranty are available. Financing is available thru our network of major auto lenders. We have the same ones you'd find at any new car dealership.Testa Marketplace Pre-Owned of Many 820 Fisher Rd Many LA 71449. 318 256 8001 ! Carfax shows a very minor accident. They describe minor as cosmetic. You want find where this FX4 has had body work done !